Some on Wall Street are worried that subprime auto lenders like Credit Acceptance Corp, Ally Financial, and Santander will soon be in trouble, given reports that a rising share of borrowers with low credit scores are delinquent on their loans. 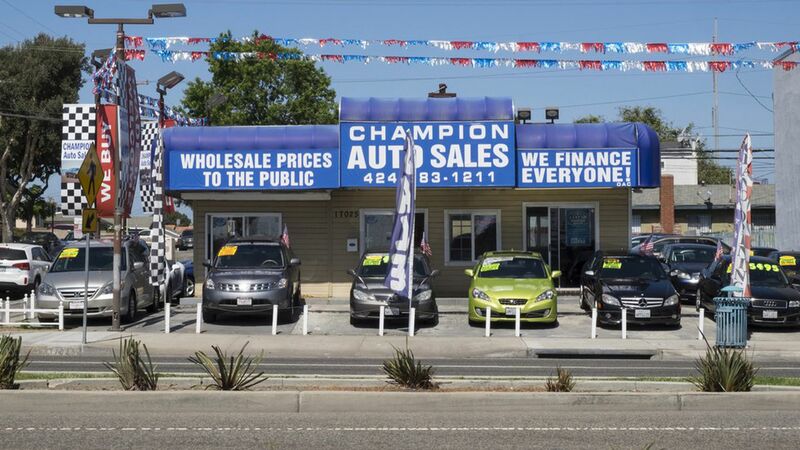 Auto lenders are behaving similarly to mortgage lenders in the run-up to the 2008 financial crash, but experts say we are not headed into another crisis (more below). Why it's still cause for worry: Lenders are making fat profits, but there is growing evidence that a significant minority are engaging in fraudulent behavior. Borrowers in many cases have little choice but to pay such high rates if they want to be able to commute to work. It's a growing problem: One trend that has propped up this market is lengthening American commute times. As housing affordability in America's economic centers grows worse, the working poor and middle class are being pushed further away from city centers and reliable public transportation. What to do about it: Two options are incentives to build more affordable housing and investing more in public transportation. It's actually pretty difficult for a lender to lose money on many of these subprime loans. The interest rates are high, typically in the low teens, but can rise as high as 29%. These payments cushion losses for lenders. The auto-lending market is much smaller than the mortgage market. According to Experian, the total size of subprime auto loan debt outstanding is roughly $173 billion. By comparison, in 2006 alone, mortgage lenders made more than $600 billion in new loans. Cars are easy to repossess, while homes are notoriously difficult, meaning auto lenders lose less money after a default.